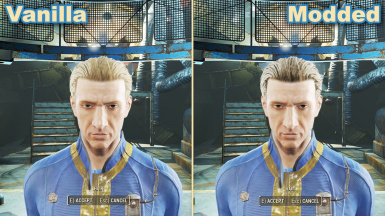 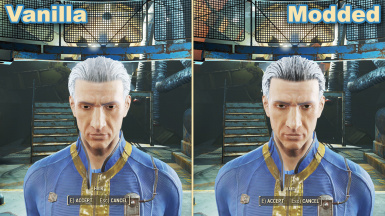 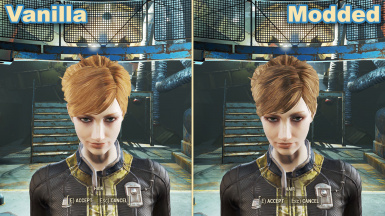 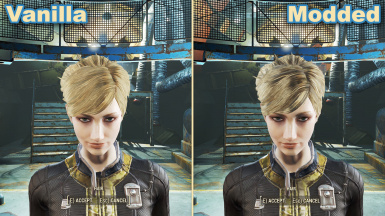 This mod improves the default Fallout 4 haircuts by giving them a bit more contrast and variation. 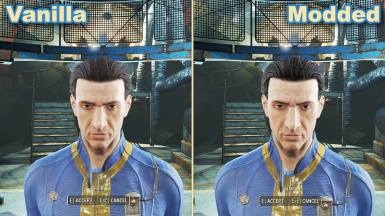 Added improved facial hair textures, so the beards match the hair better! I found the hair lacking in this game, it was flat, boring, and a bit too bright. So I decided to do something about it, and I might as well share! 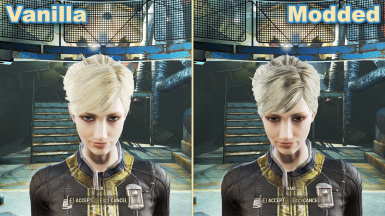 So here is my mod to improve the contrast and variation of the vanilla hair textures. 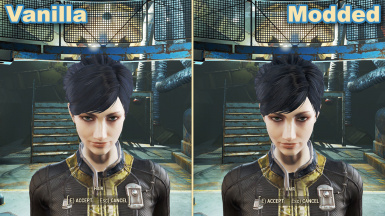 Now with optional brighter version! !!! 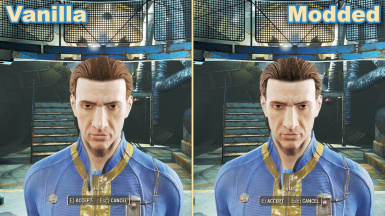 Curly/afro hair and bushy beards will not be able to reach the same level of contrast with the vanilla meshes !!! final haircolours for all vanilla hairstyles.